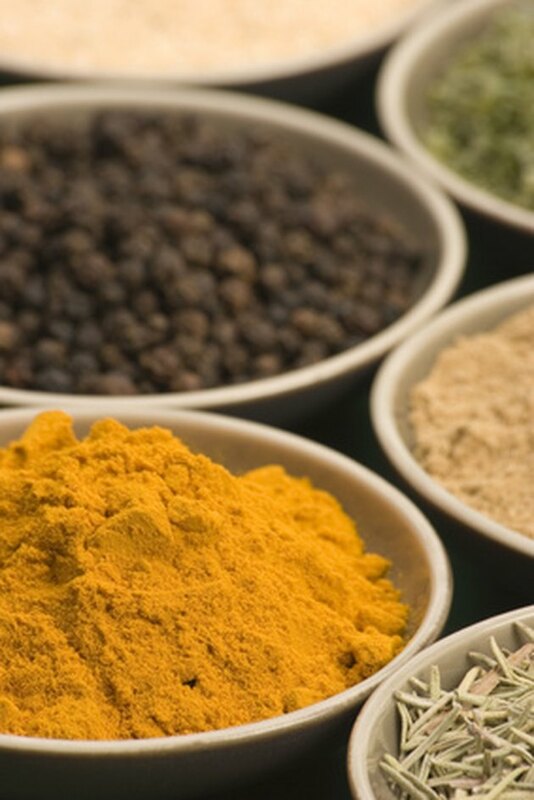 Turmeric is a spice best known for its distinct flavoring in Indian cuisine. According to the University of Maryland Medical Center, this spice has been treating a variety of ailments for almost 4,000 years. Bromelain is a mixture of enzymes found in pineapples. Extracted from the juice and stem of the fruit, the enzymes that make up bromelain are most beneficial for their digestive support. Both turmeric and bromelain are beneficial for inflammation. Turmeric has successfully treated inflammation and pain associated with osteoarthritis, reports UMMC. During a preliminary study, turmeric was also effective in treating uveitis, a condition characterized by inflammation in the eye. Bromelain is used to treat inflammation following surgery -- particularly in surgeries of the ear, nose and throat. UMMC notes that bromelain is also effective in reducing inflammation associated with infection and injuries, and early studies have shown its usefulness in treating arthritis. Turmeric is helpful in digestion because it stimulates the gallbladder to produce bile, which is needed for food breakdown and assimilation. At least one placebo-controlled study was able to show that turmeric relieved symptoms of bloating and gas in patients suffering from indigestion. Bromelain is effective in aiding heartburn symptoms due to its ability to work effectively with amylase and lipase, enzymes responsible for the breakdown of starch and fats in the digestive tract. One study conducted on animals suggested bromelain could also reduce diarrhea resulting from bacteria in food. According to UMMC, test tube and animal studies have indicated that turmeric may help prevent or control cancer of the prostate, breast, skin and colon, but human testing is needed in this area. Turmeric is available as a fluid extract, a powder for cooking or capsules. Bromelain is available in tablet or capsule form for oral administration. Some Health-care providers may prescribe a topical form of bromelain for treating burns. According to UMMC, the dosage for an adult of turmeric is 400 to 600 mg of the powder per day. The recommended dose of bromelain is 500 mg per day as a digestive aid and 500 to 2,000 mg per day as an arthritis aid. You can break down a large dosage of bromelain into smaller amounts and take them throughout the day.